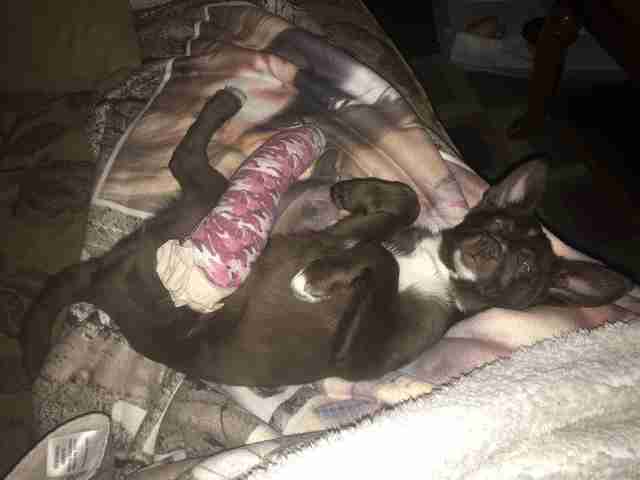 Tahani, a 12-week-old Pomeranian-husky mix, was born to a breeder and was about to be sold when she somehow broke her leg. 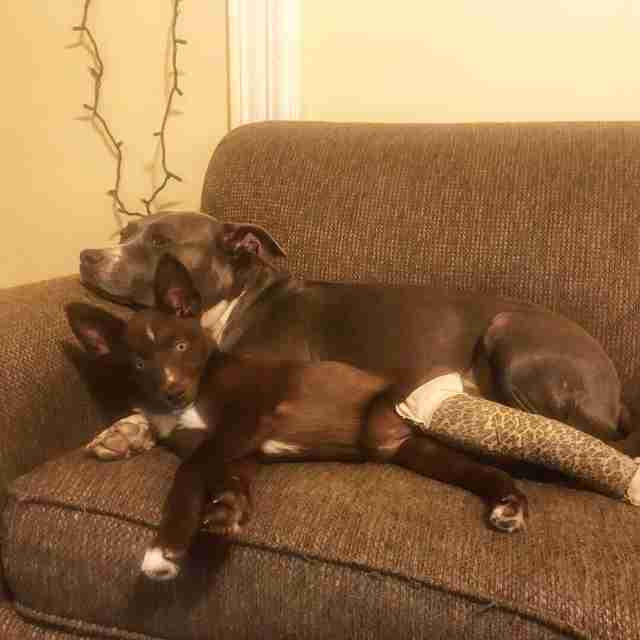 The injury was pretty severe, and when the breeder realized they wouldn’t be able to sell the puppy anymore, Tahani was surrendered to the MSPCA’s Boston adoption center. 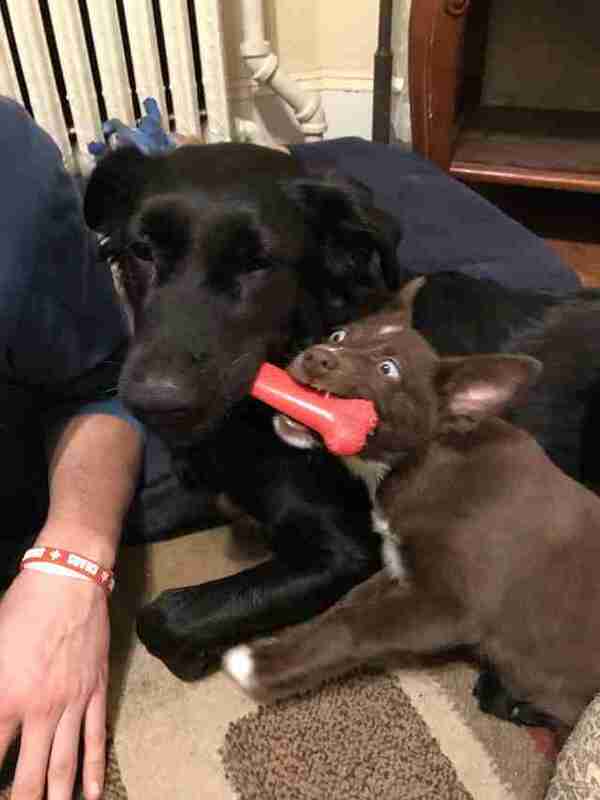 From the moment she arrived at the shelter, everyone was struck with how gorgeous the little puppy was. A Pomeranian-husky is a fairly rare mix to encounter, and even though Tahani was in so much pain, she just kept staring at all her new friends with her big blue eyes, so grateful to everyone for helping her. 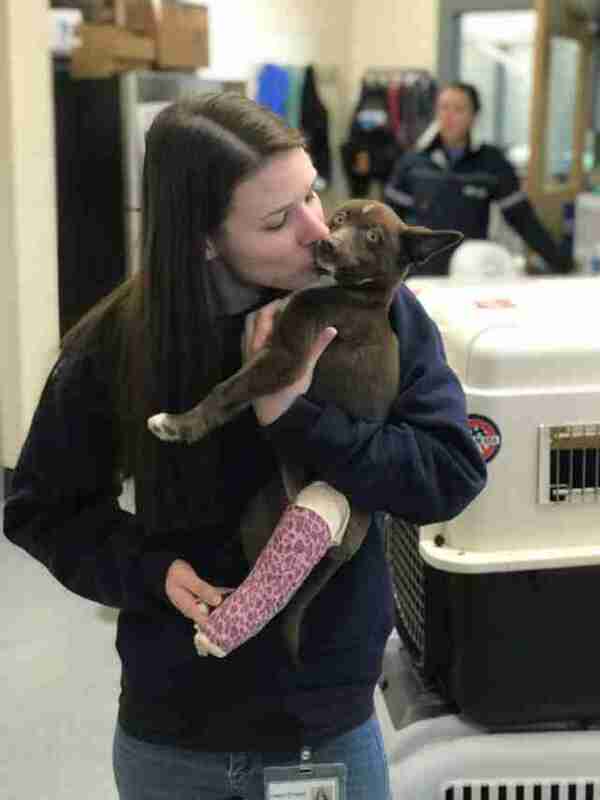 “She was in excellent condition save for the broken leg, which was a clean fracture that was likely very painful at that time, so the shelter veterinary team immediately put her on pain medicine before evaluating whether she needed surgery to help the fracture heal, or whether it would heal on its own in several weeks should she be fitted for a splint,” Rob Halpin, director of public relations for the MSPCA, told The Dodo. After having some X-rays done, it was determined that little Tahani did not need surgery as long as the vets could put a splint on her leg, monitor her closely and manage her pain. She undergoes bandage changes and evaluations every week, and she’s been healing very well so far, much to the delight of everyone who knows her. 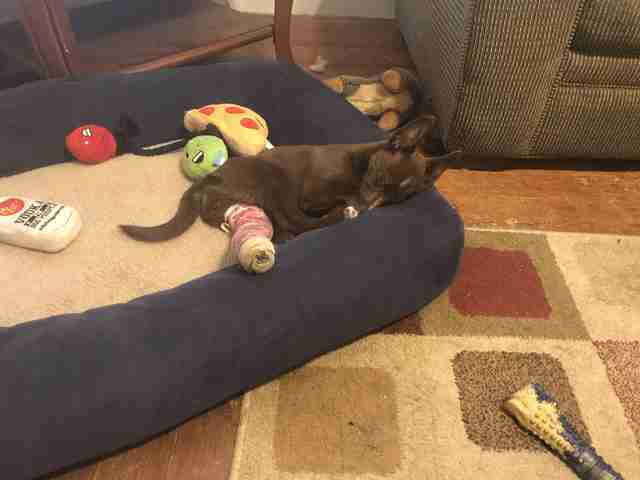 Despite everything she’s been going through, Tahani has remained sweet and playful, and barely seems to notice that she’s wearing a splint in the first place. Tahani is currently being fostered by one of the adoption center employees, but she still stops by to see all her new rescue friends frequently for her medical checks, and wins their hearts all over again every single time. She’s so spunky and full of life, and it’s not hard to see what a wonderful dog she’s going to be for one very lucky family. 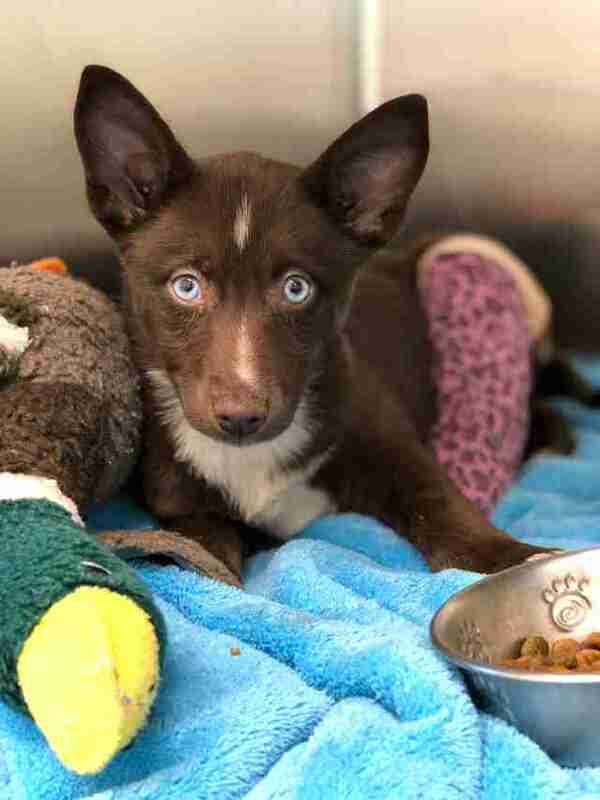 Since Tahani is doing so well on her road to recovery, the MSPCA has already posted online about her, encouraging people to apply to adopt her — and the little puppy has already received over 100 applications. Everyone is so delighted that she’ll have a fantastic forever home soon, because after everything she’s been through, she more than deserves it. If you’d like to help other animals in need, you can donate to the MSPCA.